Hinsdale Central High School looked title in 1985 and Kurt Olson played a big part of that, according to The Chicago Tribune. The junior Olson, along with a teammate, "rejuvenated" the Hinsdale team as the two regularly got on base, The Tribune wrote. Olson went on to sign as a pro four years later. He couldn't get on base enough for a lengthy career. 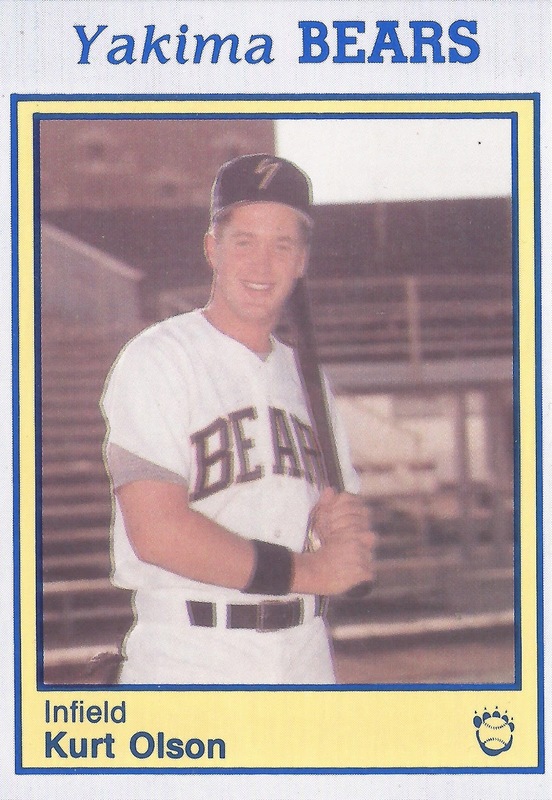 He played a single season as a pro. Olson's pro career started in August 1989, signed by the Dodgers as an undrafted free agent. Olson was originally drafted out out of Hinsdale, taken by the Twins in the 19th round, but he did not sign. He appears to have gone to college, but whatever school that was isn't listed on either Baseball-Reference or The Baseball Cube. 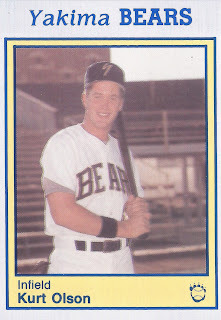 Olson started and ended with the Dodgers in 1990 at short-season Yakima. He went 3 for 4, with one run scored and two RBI in an August game against Bend. He played predominantly at first base, but he also pitched an inning. He gave up one hit and no runs. Overall at the plate, Olson hit .259 over 53 games to mark the extent his career.